The Sustainable Development Goals were launched in 2015 with grand ambitions for ending poverty, protecting the planet, and ensuring prosperity for all, with ‘no one left behind’. However, these goals will be impossible to achieve without addressing inequity, inequality, marginalisation, and exclusion related to gender, and to other intersecting social hierarchies linked to deeply emotional, culturally bound norms and judgements of worth. This book asks readers to consider issues of knowledge, power, and effectiveness, emphasising the limits of taking a categorical approach to gender and other social hierarchies, and the importance of process in what is known about generating transformative social change. 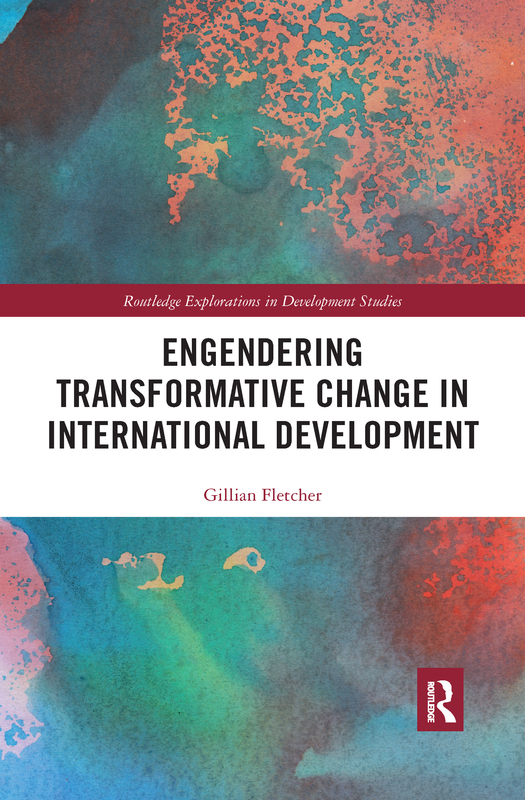 Engendering Transformative Thinking and Practice in International Development draws on a range of real world examples which demonstrate both the limitations of the frameworks currently in use, and the very real possibilities for change when the intersecting social hierarchies that sustain and create inequity and inequality are challenged. This book brings together theoretical perspectives on social change, gender, intersectionality, and forms of knowledge, concluding with a set of proposals for revitalising a change agenda that recognises and engages with intersectionality and practical wisdom. Perfect for students and scholars of social change, gender, and development, this book will also be useful for practitioners looking for new ideas to help to generate social change. A story of hope, possibilities, politics … and missed opportunities?